Parts of Texas have been coated again by dust blowing in as a cold front reached west and northern parts of the state. The National Weather Service says wind and dust moving in from Colorado and Kansas descended on Amarillo by Tuesday afternoon. 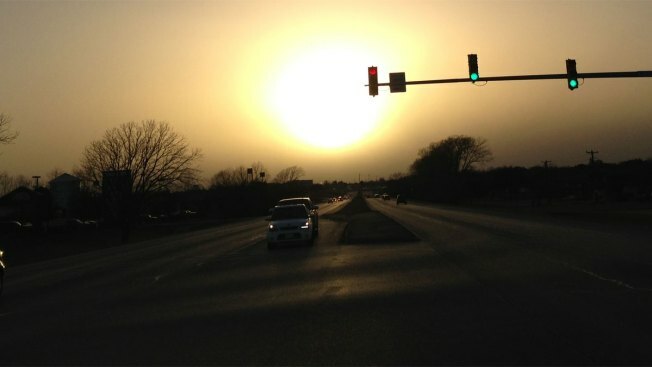 Strong winds pushed the dust into the Dallas-Fort Worth area by Tuesday night. The National Weather Service says winds of up to 50 mph helped move the dust along before conditions were easing Wednesday. Last week a wall of dust as tall as 1,000 feet and 200 miles wide reached parts of West Texas and New Mexico. NBC 5 Meteorologists said the strongest part of the dust storm rolled through overnight Tuesday into Wednesday and that the remaining dust should clear out throughout the day on Wednesday.